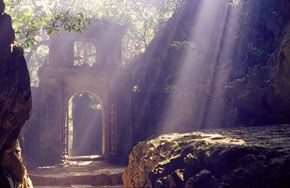 A choice of destinations for culture tours to Vietnam as tailor made holidays. From the mountains of Dong Van to the islets of Bai Tu Long Bay, from the buzzing cities of modernity to the atmosphere of by-gone times, from the enticing culture of indeginous people to the long beaches of Vietnam, we help you plan your holiday and make sure your vacation in Vietnam will be a success. Hanoi is one of my favourite cities in Vietnam, and I always enjoy it immensely, letting myself drift in busy street-life in the traditional 36 alleys of the old town. The quarter around Hoan Kiem Lake has been built in French colonial style with wide streets and excellent restaurants and makes a relaxing contrast. Beside experiencing the classic high-lights of the city, try to take the time and visit the excellent Museum of Ethnology as well. The surroundings of Hanoi are stunning and most of the neighbouring provinces are relatively easy to reach. This applies for the coastal waters as well as for the mountainous regions along the borders to Laos and China. Inhabited by a wide variety of ethnic minorities, these areas offer great hiking in a gorgeous nature. 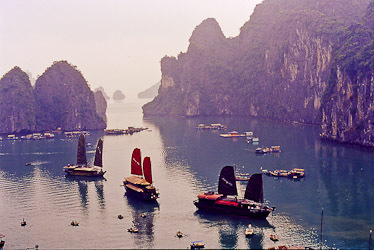 Cruise by junk through the fantastic scenery of Halong Bay or venture further out to Bai Tu Long Bay. Be adventurous and experience the different cultures of the ethnic minorities in the mountains. An exciting trip to the West of Hanoi is an 8 days loop travelling from Hanoi via Mai Chau, Dien Bien Phu, Lai Chau and Sapa back to Hanoi. You experience grand nature, breathtaking panoramas and encounter the Black and White Thai, Black H'Mong, Dao, Lolos and other minorities. A less travelled route is another 8 days excursion into the extreme North, travelling along the Chinese border through the provinces of Ha Giang, Cao Bang and to the Ba Be lakes. Grand views, stunning karst mountains, deep valleys, evergreen forest, including boat cruises on lakes and rivers. 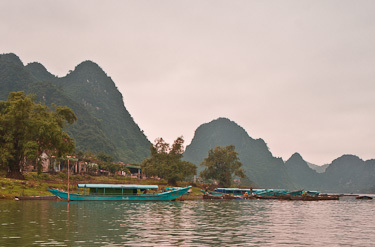 Last not least, the region south of Hanoi is quite attractive as well. Near Ninh Binh enjoy a boat ride along Tam Coc (dry Halong Bay), and if you are on the way to visit the minorities near Mai Chau as well, you can experience the sensational temples of Hoa Lu and also the Cuc Phuong National Park en route. As day-trips I would recommend an excursion to the Perfume Pagoda, 60km south-west of Hanoi, or a visit to one of the many handicraft villages near Hanoi. A convenient way to bridge the distance between Hanoi and Hue is by flight or by night-train. Hue was the Imperial City of the Nguyen Dynasty from 1802-1945, and for a long period the cultural centre of Vietnam. The main attractions are the lovely view over the Perfume River, a boat cruise up-river to the almost melancholic beauty of the impressive Emperor tombs, and a visit to the remains of the once mighty citadel. Travelling further South, the enjoyable ride by car over the Hai Van pass (Ocean Cloud Pass) to Danang and on to Hoi An should not be missed. 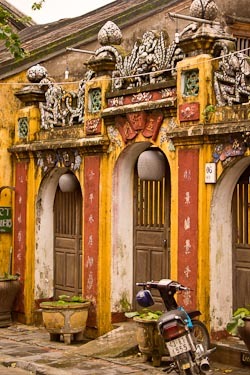 Hoi An is an old Chinese trading town built on the tail of a dragon (Singapore is built on the head). Being a very relaxing, atmospheric and interesting place, you should always reserve at least 2-3 full days. Strolling through the alleys, exploring the old Chinese buildings, relaxing in lovely coffee shops and observing street-life. Excellent Vietnamese cuisine and for cake lovers even a remarkable Belgian Patisserie. Day excursions to My Son, once an important religious centre of the Cham culture, into surrounding villages or a cooking course are all exciting. Accommodation is available in town, at the nearby beach or even on a remote island in the Cham archipelago off the coast. If you intend to travel further South over land, a very interesting route is the 6 days journey from Hoi An through the Highlands and villages of ethnic minorities via Kon Tum, Plei Ku and Buon Ma Thuot to Dalat. The area around Plei Ku is excellent for hiking and the villages around Buon Ma Thuot are the lands of the E De, M'Nong and Bahar minorities, who have kept their culture alive in a gorgeous natural environment. Elephant rides, boat tours, hiking, experiencing the local culture, etc..
Dalat is favoured by the Vietnamese for honeymoon holidays, and the fantastic beaches near Nha Trang or Phan Thiet or even Saigon are reachable by car in a day. Saigon / Ho Chi Minh City is situated about 1700km south of Hanoi and hot, tropical and orgiastic. The most exciting experiences in this flourishing city are definitely the markets, but you could also have a look at the War Remnants Museum and the History Museum. Saigon's cliche fame has been revived. Sample some of the excellent restaurants and, if you like, the vivid night-life. Encounter the rural side of the region as well. 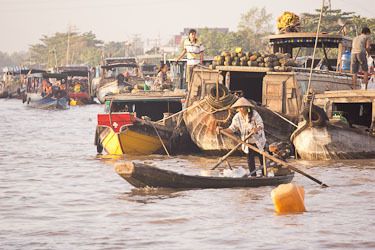 Take an excursion into the relaxing Mekong Delta and enjoy life on and along the rivers (3-4 days). This can be done on luxurious steam-boats, which sometimes cruise up to Cambodia, accommodation and full board included, or on a simple sampan, where you experience a very authentic local life. Short trips from Saigon would be visiting the Cu-Chi Tunnels of the Ho Chi Minh Path, 1 or 2 nights at Nam Cat Tien National Park or relaxing at one of the beaches near Saigon. The warm beaches are considered to be south of Danang, starting with famed China Beach and the one near Hoi An. The most beautiful ones are in the region of Nha Trang. Phan Tiet and Mui Ne Beach further south cater to a slightly lower budget. 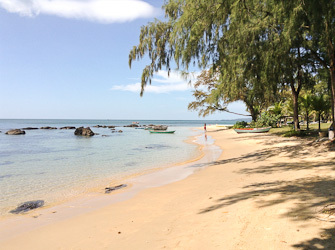 The last and least developed of the well known beaches are the ones on Phu Quoc Island. According to preferences you can choose from a simple guest house at the beach up to an exclusive private 5 star island. 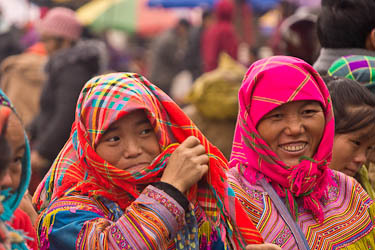 The ethnic Vietnamese and Chinese predominantly settled in the cities and along the costal regions, while the mountain ranges of the hinterland are home to a wide variety of ethnic minorities, which make up about 10% of Vietnam's population. Most of their settlements are in the North-West along the borders to Laos and China, as well as around Dalat in Central Vietnam. The largest groups are the Tay, Thai, Muong, Nung, H'mong, Jarai and Dao, to mention some. Ideal terrain for a few days hiking and learning about their life. Accommodation at local villages is available. Hiring a guide gives you 3 options: Guide accompanying the whole trip from arrival in Vietnam until departure, different local guides at different destinations, or just transfers and hotels (drivers usually speak some English). English speaking guides are widely available, other languages on request. Depending on the time of year you travel, either the north-south or the south-north route is recommended. The route can also easily be combined with a visit to Angkor Wat in Cambodia.